Amazon's new Echo Show is the hot topic right now, but one of its new features, which lets you make calls to other Show owners, is also rolling out to older, screen-less Echo devices. An Amazon spokesperson confirmed to Wareable that the new calling and messaging update is rolling out to existing Echo and Echo Dot devices, as well as the Alexa iOS and Android app, but only in the US for now. 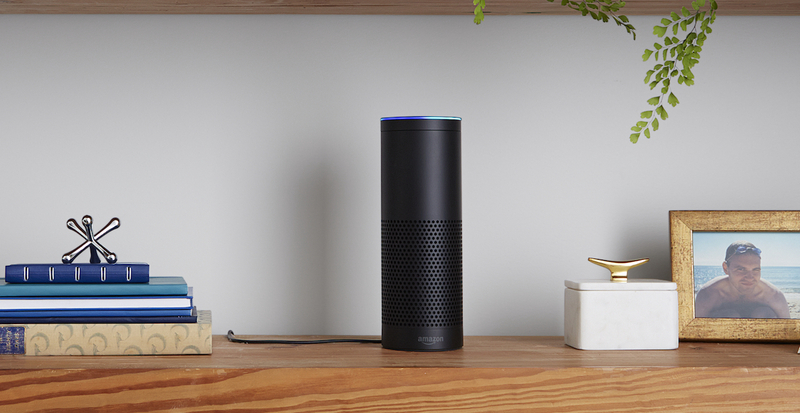 Once you've got it, you'll be able to start a voice call with anyone else with an Echo device so long as they've enabled the feature their end. Alexa will alert you when you're getting a call, and the halo ring will light up green. And as we said, this goes for messages too. You can simply send a voice clip to someone in your address book and they'll be able to pick it up their end. It doesn't just have to be between Echo units either. You can initiate or pick up a call or message using the Alexa smartphone app too, so Amazon is also going up against services such as WhatsApp and Skype. However, unless you have the new Echo Show, you won't be able to video calls. It appears we're in smart speaker season right now. Microsoft and Harmon Kardon just announced their Cortana-powered assistant, while Apple is rumoured to be readying its Siri speaker, possibly at WWDC in a few weeks time. And Google? Well, I/O is just around the corner, and it's very possible we could see the next iteration of Google Home unveiled there.